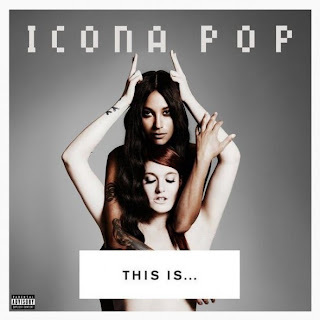 Things are getting complicated with Icona Pop, what with various differing releases between America, the UK and their previous releases in Sweden. All Night, soon to be released in the states, follows directly from recent single I Love It and future UK single Girlfriend. As you’d expect, it features big production, an anthemic chorus and shouty, punky vocals, all tinged with a touch of sadness. It’s formulaic, but it’s a winning formula. I Love It has seen huge success both in the states and in the UK, building much anticipation for their forthcoming debut album (released in both countries in the autumn). What’s disheartening, however, is that the Swedish duo are better than this. Their debut EP, ‘Nights Like This’, hit way back in 2011, whilst their self-titled album was released in their Swedish homeland last year. For English-speaking audiences, the album is being repackaged with a new title, ‘This Is…’ (pictured), and is missing many of the quirkier electro-pop tracks from their EP – the reason many fans originally fell in love with the duo. Instead, the shouty formula is firmly in place. Is this a sign of the duo becoming Americanised? Let’s just hope that on the album’s release, it strikes a balance between their original quirkiness and their current mainstream appeal. Listen: The duo's debut album, 'This Is...', will be released in the UK on 7th October.